Vagabon gives a voice to the voiceless on their debut album. Vagabon is just one woman: Laetitia Tamko—but she's able to contain unlimited genres inside her voice, and can slip easily between them like an outfit change. Sometimes she sounds nearly identical to Hop Along vocalist Frances Quinlan, while the very next track might be shrouded in a smoky croon reminiscent of Nico, or an Alanis Morrisette-style throaty warble. Having been a mainstay on the New York DIY scene but a smaller force to the rest of the world, it may be that she brings that outsider’s naivité to the usual boundaries and limits. Or maybe the album’s boundless title suggests the breadth of her influences. Either way, the result is an undeniably unique and beautiful debut album. Infinite Worlds is apparently a reference to the Dana Ward poem (and book) “The Crisis of Infinite Worlds.” Ironically, the omitted word in the title—crisis—might be the key to the album; it certainly describes the tone of most of the songs. The albums begins with “The Embers,” which describes a crisis right off the bat: “I’m just a small fish / You’re a shark that hates everything / You’re a shark that eats every fish.” Uh-oh. Next, Tamko has a crisis of the heart, singing to one Freddie in “Fear and Force,” “Freddie come back / I know you love Vermont / but I thought I had more time...I know you love where you are / but I think I changed my mind.” Even the sole song that doesn’t sound like it contains any troubles, but rather a trance-y interlude, is called "Mal á L’aise," i.e., ill at ease. The songs on Infinite Worlds are capital-P Powerful, but they don’t give up their message easily. They demand you to encounter them as songs first, whether or not they were inspired by poetry. They are sonically dense and textured, ranging widely between genres, eras, and moods. Tamko’s voice has a tensile strength which holds whether she’s gently pleading a loved one’s name or proclaiming, "Sorry I lost your cat / I just so damn mad!! !” Still, she doesn’t use volume for emphasis, which comes instead when the music retreats, underlining her words. The most powerful moment of the album comes in “Cleaning House,” when she sings over only the faint plucking of strings: “You will raise your voice and talk aloud but once you didn’t have a voice at all.” The “you” in Tamko’s song seems to often be herself, or someone she identifies with. She says she writes for, “Weird girls. Girls that are not celebrated...Obviously women of color, but specifically black women, because that’s what I represent.” An outsider and newcomer within a genre that defines itself on the basis of being outside the mainstream, she longs for space and representation for herself and people like her. On this album, Tamko has chosen to celebrate the uncelebrated. It's for those who contain the infinite worlds of its title, by creating an expansive “you” that her intended audience can identify with, and singing of her own experience when once, not long ago, she didn’t have a voice at all. 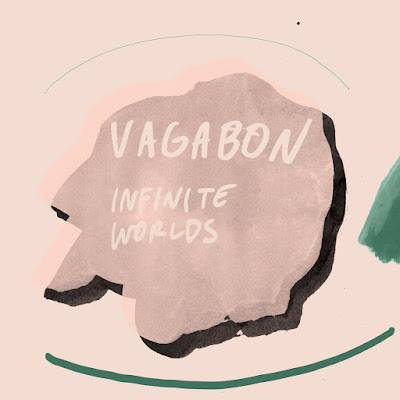 Listen to Vagabon on bandcamp.